Sonivox is proud to have teamed up with Prime Loops to provide producers with all they need to discover new genres or styles of music. We've mixing together no less than 6(!) of our scene stealing packs, packed to the brim with emotive and moving orchestral ammunition. Take a peek inside and you'll find scores of tear-jerking strings, sensual piano riffs, eastern-inspired instrumental loops and rhythms, deep and dynamic percussion and much more. Get ready to deliver more depth, drama and suspense to your productions than ever before! Over 100 emotional and moody orchestral, percussion and FX loops, arranged across 8 professional soundtrack kits! Over 240 pulverizing, white-hot industrial sounds including 45 FX loops and an oversized shipment of 201 one-shots delivered in crude, rough-and-ready form! Hair-raising 320MB load of chopped atmospheres, glitch drum loops and cutting bass and synth riffs from 120-145BPM, ready to elevate your tracks to the heavens! 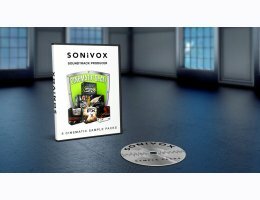 Over 1GB of ultra dynamic percussion loops, arranged into 25 epic song kits to blast your productions right through the big screen! Mo'Zart or Beathoven? Orchestral Scores offers an extensive collection of 100 expertly processed and professionally recorded symphonic orchestra loops for your music productions! Over 180 dramatic arabic string loops and eastern-style chord progressions, to bring some life and an exotic eastern twist to your cinematic music! At an indulgent 3.3GB+, this combo deal really is value for money. If you're looking for an entire arsenal of Cinematic ammunition, then you know what to do! 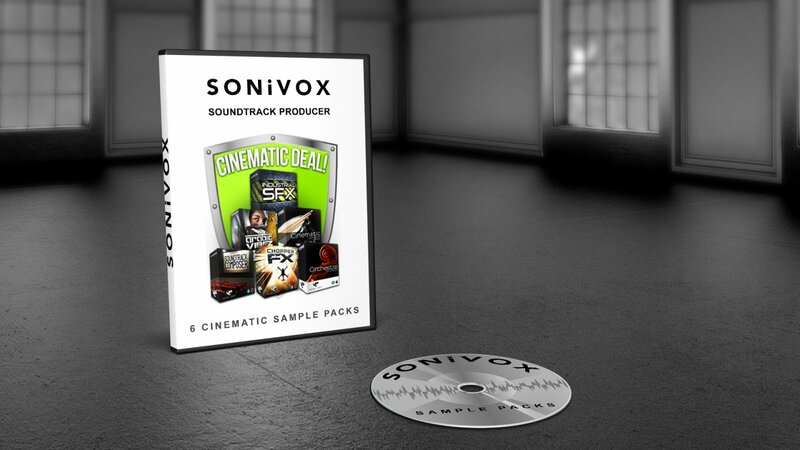 Plugivery is an official distributor for all SONiVOX's products.